If you are just beginning or have been supplying products onto the Australian and New Zealand markets for a while, compliance can often be a confusing and time-consuming proposition. It is also extremely important to understand your ongoing legal obligations. At Comtest we have been assisting local and international clients to get their products to market and ensure they meet their initial and ongoing compliance obligations for compliance in Australia and New Zealand for over 20 years. Comtest Group offers a comprehensive range of testing, certification, consulting and compliance documentation services, both in-house and through our network of partners around the world. Clients looking to bring products such as telecommunications and electrical products onto the Australian and New Zealand markets are assisted right through the process, from testing, assessment and gap analysis of existing test reports, certification, registration, documentation storage and maintenance. If you are looking to access the world markets, we can offer a full range of services working with our fully accredited third-party test and service providers. When supplying any electrical or electronic products that operate using any voltage onto the Australian and New Zealand markets, there are many requirements that need to be considered. One such requirement is the keeping of records, and compliance documentation. Comtest’s Compliance Folder Management Pty Ltd (CFM) is the expert when it comes to assisting our clients with all their ongoing documentation and compliance obligations. assisting and/or managing product recall processes and requirements — working with the client and government agencies to minimise any potential impact. electromagnetic energy (EME) from radio transmitters. Each of the four regulatory arrangements incorporates a legislative instrument, referred to as a labelling notice. The labelling notices identify the applicable technical standards and testing, record-keeping and labelling requirements for products supplied into Australia. A supplier should consult the relevant labelling notice/s to identify the requirements that apply to each product that is being supplied in Australia. A supplier must ensure a product complies with all applicable requirements (legislative instrument) before supplying that product to the Australian market. 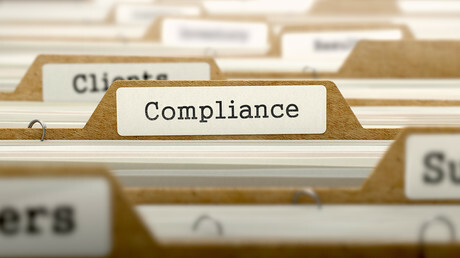 Comtest has assisted thousands of clients with compliance in this area. Certain low-risk products (including under EMC and radiocommunications regulatory arrangements) may not require testing to demonstrate compliance. However, even if a product is not required to be tested, a supplier should be confident that the product complies with the applicable ACMA Technical Standard before signing the supplier Declaration of Conformity. This may be evidenced by a manufacturer’s performance specification documents for the device. However, for most products, testing and test reports are required to prove that a product complies with applicable ACMA technical standards. The specific testing requirements are based on a risk assessment of the potential consequences arising from supplying a non-compliant product. The higher the compliance/risk level, the more stringent the requirements for evidence of compliance and for record-keeping. Each regulatory arrangement includes record-keeping requirements for product compliance. Record-keeping requirements apply to a supplier of a product to which a compliance label has been applied. Comtest has assisted thousands of clients with compliance in this area. The Equipment Safety Rules outline the processes required to address the legislative requirements of the Electrical Equipment Safety System. They do this by providing a framework which defines the processes, and the roles and responsibilities of key parties. a) All electrical equipment cannot be sold unless it is electrically safe, regardless of the voltage type or voltage. b) All in-scope electrical equipment is classified into one of three levels based on risk assessment. c) All Responsible Suppliers of all in-scope electrical equipment offered for sale must be Australian or New Zealand legal entities (including foreign companies with an Australian or New Zealand business registration) and must be registered on the National Database as Responsible Suppliers. d) All level 2 (medium risk) and level 3 (high risk) electrical equipment must be registered on the National Database before it is offered for sale. e) Documentation and evidence appropriate to the level of risk must be prepared and kept by the Responsible Supplier. For level 2 (medium risk) electrical equipment, a Compliance Folder is required and, if not held by the Responsible Supplier, must be made available if requested. For level 3 (high risk) electrical equipment, a Certificate of Conformity (Approval) is required. f) All in-scope electrical equipment must comply with relevant standards and be electrically safe. g) Regulators and Accredited Certifiers are able to assess test reports and are able to issue Certificates of Conformity for electrical equipment. h) Certificates may be issued for levels 1, 2 and level 3 equipment. Requirements for the issue of a certificate include Australian Standards or joint Australian and Standards New Zealand product Standards that apply specifically to the type, or a standard accepted by a Regulatory Authority as a standard that can be readily applied to the type. Certificates for level 1 and 2 are issued on a voluntary basis (referred to as Certificate of Suitability) subject to meeting the same criteria as that required for level 3 equipment (referred to as Certificates of Conformity) as detailed in these Equipment Safety Rules. All Certificates issued under the EESS must have the appropriate details registered on the National Database. i) All Certificates to be used as evidence of compliance must have the appropriate details recorded on the National Database. j) All in-scope electrical equipment must be marked with a Regulatory Compliance Mark (RCM). k) Responsible Suppliers must make a declaration that all in-scope electrical equipment that they supply is electrically safe. l) Failure by a Responsible Supplier to discharge their obligations under the EESS will result in the imposition of significant penalties and possible de-registration. Comtest has assisted thousands of clients with compliance obligations in this area for over 20 years. If you would like to know more, please contact us on +61396455933 or visit our website: www.comtestgroup.com. For nearly 50 years TRI Components has been operating from its base in Melbourne.